The Sacrament of Marriage is one of the sacraments of vocation. It is a profound statement of love between a man and a woman. It is also a reflection of the couple’s commitment to God and their desire to celebrate this special day in the Catholic Church. 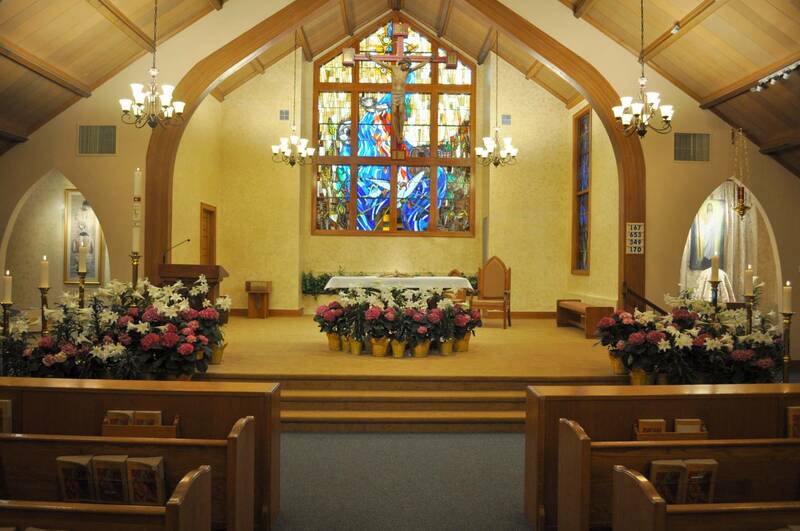 Contact the Parish Center at 631-475-4506 to begin planning a church wedding. No other plans should be made prior to contacting the church. Arrangements must be made at least six months in advance. Other days and times may also be available. Either the bride or the groom must have some connection to St. Sylvester’s parish. One must either live within the geographic boundaries or have celebrated a sacrament at St. Sylvester’s. Participation in a Pre-Cana program is necessary. The Pre-Cana program is an opportunity for the engaged couple to discuss some of the dynamics of a life-long commitment. Our program is lead by married couples. A typical Pre-Cana group is compromised of four or five engaged couples along with two of our team couples. They present different situations and issues from married life. The hope is that the engaged couple comes to a deeper appreciation of their intended spouse through reflection and conversation.